Reiki is a spiritual practice developed in 1922 by Japanese Buddhist Mikao Usui, which has since been adapted by various teachers of varying traditions. It uses a technique commonly called palm healing or hands on healing as a form of alternative medicine. 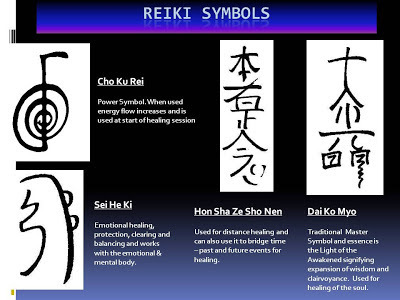 Though differences can be wide and varied amongst the three branches and traditions, the primary difference is that Westernised forms use systematised hand-placements rather than relying on an intuitive sense of hand-positions, which is commonly used by Japanese Reiki and the SEA Reiki branches. All of the three branches commonly have a three-tiered hierarchy of degrees, usually referred to as the First, Second, and Master/Teacher level, all of which are associated with different skills and techniques. Personally, I don't have too much excitement over Reiki, as it is no different from the Dairindo, Chinese Chigong or the SEA Tenaga Dalam practices. In fact the later three are more comprehensive than the Reiki methods, but that is only my opinion. I have just noticed a new comer for this new millennium: “Energy Working”. Correct me if I am wrong, basically this is a catch all package in that the Reiki, chakra attunements and auto-martial arts or power dancing are repackaged and resold as a new product. A ninja can produce a strong shout similar to the sound of tearing shroud towards his target as if his target is being tied and cannot move. This is the famous ninja’s art of transfix. First, portray three times to Buddha. If you have mastered this method, your enemies will automatically be defeated, or they will be in bewilderment and fail to carry out their agendas. This is an incredible ritual used by the Samurais and Yamabushi prists since the old days. Fudo-myo, the wrathful aspect of Virocana. 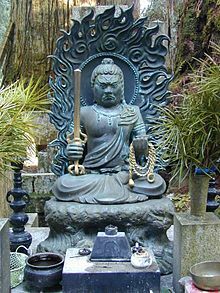 My pal is a Fudo-myo (不動明王) fan; he has set up his modus operand according to the Fudy-myo model but replace the Kulika sword with Dewa Yakong sword. So his idea was or perhaps still is: Fudo-myo as his guardian spirit to control the Dewa Yakong. This guy is not joking: he has a few 3 feet standing Fudo-myo statues, not to mention hundreds of big and small statues in his house and shop. I call this guy and his Dewa Yakong practice: "Mr. Fuu-yoo-o & Yakong sword". Perhaps we can treat it as the New Age Fudo-myo cult. I once asked him why is he keeping so many Fudo-myo statues and his answer was loud and clear: “Fudo-myo has saved my life from Yakong!” Though his answer was still echoing in my ears, he started to sell his Fudo-myo statue to me. I told him: “You can’t be right, this guy just saved your life and you wanna sell him! ?” I never got any straight answer from this guy in return. But seriously folks, would you trust a person that is selling his savior? Fudo-myo literally means “the immovable wisdom king” and is one of fierce guardian deity of Japanese Vajrayana. He is known as “Acala” in Sanskrit. In Japan, Acala became an idol of worship in its own right, and became installed as the gohonzon (本尊) or main deity at temples and outdoor shrines. At Shingon Buddhist temples dedicated to Ācala, priests perform the Fudo-hō (不動法), or ritual service to enlist the deity's power of purification to benefit the faithful. This rite routinely involves the use of the ritual burning ceremony (護摩) as a purification tool. Monks in Yamabushi (山伏) gear who go into rigorous training outdoors in the mountains also often pray to small Ācala statue or talisman they carry or to Fudo-myo statues that are often placed near waterfalls (a common training ground) and deep in the mountains and in caves. Do you know that the first mudra in the famous Kuji-kiri: “Rin” belongs to the root mudra of Fudo-myo? Nômaku sanmanda bazaradan senda makaroshada sowataya un tarata kanman. I am not sure who first developed the virtual memorial service hall, but the Japanese have already offered the virtual memorial service hall years ago and it is currently progressing up to such a stage that even flowers and all other funeral necessities can be selected by clicking of a mouse. Later, I also learnt that there is even a virtual graveyard in the development. 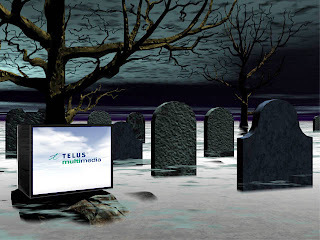 Only the particulars of the deceased and the family members are required, and upon the successful completion of the registration process (with a fee); the web page will auto design the tomb stone and provide the relatives with a password. So wherever and whenever a person is, and provided he or she has a computer in front of him/her; this person can log in at his/her convenience. My first thought is that such service will benefit those who have migrated overseas or have the disability to travel. This is indeed an emerging market to tackle. Just fairly recently, I have also heard that this type of virtual memorial service hall appeared in one of the Hong Kong web page, and this web page has also extended to the pets as well. Whatever the subject is: a deceased person, a pet or even inanimate object all are welcome. My hat is indeed off to the creativity of these Hong Kong folks really. Perhaps one day such virtual services will also appeared in Southeast Asia regions; on second thought perhaps some ingenious business minded people have already done that and I have been losing touch with the ever changing techno world? And how do you like it: You can do the conjuration on-line and choose whatever entity to appear? Or may be create the virtual form of your enemy and ‘destroy’ it virtually with the click of a mouse? If all of the above have come true; it will be my turn to change MagicSEA into “Virtual Machine MagicSEA” J! Holy water, make or buy? My friend David’s mother was diagnosed with kidney stone, but since she dare not want to have herself operated; she choose to cure herself by drinking holy water. Right after consuming two bottles of holy water, David’s mother started to suffer from diarrhea and plying to and fro the toilet for two consecutive days. So David thought that was caused by contaminated water and rushed this dear old mother to hospital. To his surprised that the doctor told him that his mother’s kidney stone was gone; perhaps already discharged from her body. Until today we continue to argue about if it was the water poisoning that has induced diarrhea and indirectly caused the stone to be discharged out; or it was the magical power of the holy water that indeed cured David’s mother? In Thai we call holy water “Nammon”. 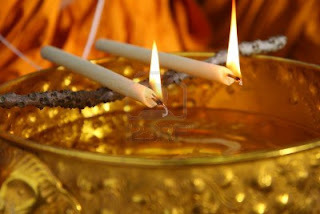 People will invite the monks to use holy water to bless a new house, or bless the opening of a new business. People can also take the holy water to their homes and keep it near the altar. This water is used to clean away all bad influences. When the monks are praying, or are chanting, or are learning the teachings of the Buddha, the water is blessed. This water becomes holy water and the - monks will use the water to bless the people. In the time of the Buddha many people in a city became ill. They asked the Buddha to bless their city and drive the illness away. The Buddha prayed and chanted to make some water holy, and then sprinkled the holy water all around the city. The city and the people were then freed from the illness. We call this story of the Buddha and water the “Ratanasutra”. People follow this sutra and use holy water to wash away bad influences and to bring good influences. · Making holy water by prayer and incantation – By lighting incense, candles and giving offerings, and then performing preliminary prayers, and incantations. · Submerge sacred items such as magical substances or amulets to empower the water. · Purchase it at “Phra Leab World”: There are various holy water to choose from, for curing possession, for removing bad luck and etc. Since the price only ranges from 10 to 50 Baht per bottle, many people are willing to give it a try. As to the question if the holy water is as effective as claimed; try it and let me know. There are many techniques old and new to angle or fish. Some treat fishing as hobby while others take it as a part time job. Our SEA ancestors have certainly passed down some outstanding methods for fishing with fish hook and fishing rod. In order to master the most efficient method to angle, one must first choose a quality fishing rod and bait charged with magical power. · The best rod is from bamboo that grows on the river banks and with their ends lowered into the river, or the bamboo that grows in the water. · Once you have gotten an ideal bamboo rod, cut it and then wash it. 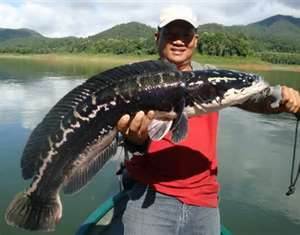 · Now you must choose the best measurement for your fishing rod. Using the distance from your thumb to your little finger as a unit, you must take a few odd measurements: 1, 3, 5, 7, 9 etc measuring units. · After the fasting period, the above prayer is used as empowerment prayer for the fishing rod and the bait. Straightly speaking, the Daireindo can be considered as a New Age System from Japan. Perhaps you have come across this type of practice in one time or another. Let’s explore this Daireindo system together before we move on to more teachings “made in Japan”. 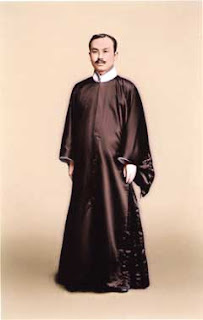 Daireindo was founded by Mr. Tanaka Morihira (田中守平, 1884-1929). While he was working in the Ministry of Printing Bureau in 1903, he was put under surveillance by the authorities for some reasons. That was when Tanaka went on to an extensive fasting of 90 days. During the fasting he discovered his body vibrates vigorously when he was making certain hand postures and the vibrating hand when placed on the body of a sick person; elevates the pain significantly. In short, this is somehow similar to the Reiki system. Mr. Tanaka’s teaching was later expanded to China where it is called Lingzhishu (靈子術). Daireindo has some similarity with Waidangong (外丹功) but it is much simpler. · Press your palms together as if you are praying while reciting “Zenshindairein” (全真太靈) continuously and relax. In time you will find that your hands are shaking automatically. · Now extend your hands forward with your finger pointing forward and recite “Zenshindairein” as before until you feel the movement. Your arm and your body should be at right angle. 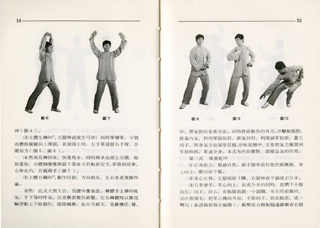 · After you have successfully induces movement, lower your arms at your sides and your arms will shake automatically. · Get a piece of wooden plank and put it on a table top, then put your palm gently onto the plank and try to vibrate the plank. When you have successfully done that, add a second plank. A season practitioner can move up to 10 planks. It is said that once you have mastered this art, you can hardly fall sick and you can topple a person at a distance of about 6-8 feet. Well, same old words; try it J. We pray that all baby spirits will have good rebirths. It is believed that the belief of the existence of baby spirit is originated from Japanese culture. But this belief was quick to spread to Taiwan and hence SEA regions and the rest of the world. Advocates say that a baby spirit exists after 80~100 days of pregnancy. So if abortion takes place after this period, the action is deemed taking a life away. Indeed some of the baby spirits are very fierce because they are being deprived of their chances to live as human being. So the hatred and revenge will be fallen onto the mother. That explains why some of the ladies become less focus, and green purple bruise mark appeared on their body without physically hurting themselves some times after the abortions. The serious ones may suffer from hallucination or mantel disorder. So it there a foundation on these claims? It is only during the past 20 years or so that in Taiwan and Hong Kong specifically and so forth extended to the rest of the Chinese communities in every corners of this world concerning the belief of baby spirits. The definition of baby spirit is the spirit of baby died in abortion, died of natural causes or stillborn. It is believed that if these baby spirits are not delivered through proper ritual, then they will harm their parents or family members alike. There are certainly not less ghost stories about baby spirits told all over the mass media. What stem from the belief of baby spirit, are various advertisements of “memorial service for the baby spirits” (嬰靈供養); claiming they have the ability to deliver baby spirits and solve problems caused by them. Some even use Buddhist “Long Life Sutra (長壽經) as a proof. To some extreme, some people also claimed that they can empower the baby spirits into formidable spirit army to listen to enemy’s secret or even killing the enemy at a distance. It is not surprising that since the advent of the belief of baby spirit, many parents who have had their baby aborted may attribute whatever issues they suffered to the working of the baby spirits; as if there are baby spirits everywhere waiting for their chances to seek revenge. So is it the truth? 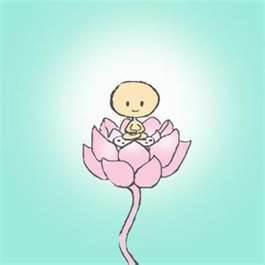 As a matter of fact, the Buddha taught us to treat all leaving equal and all souls will be reborn after 49 days period to whatever forms they deserve and would not stay in the form of baby. Even though there are really spiritual interferences, we still cannot attribute them all to the working of baby spirits without going through a proper investigation. For the few people who advocates the terrible power of baby spirits and charging a high price for memorial services; whatever the motives behind these people are, they are not really spiritual related. And this fact is already quite clear. In Chinese culture, pregnancy and marriage are known as “red affairs” (紅事) while a funeral is called “white affair” (白事). According to traditional Chinese belief, when a woman gets pregnant; she is called “you xi” (有喜) or “having something happy”, and when a couple gets married, then it is also called “xi shi” (喜事) or “happy affairs”. So, when a pregnant lady meets a bride; one of the party with weaker luck will fall sick. Another possibility is that when a mother brings her child to attend a wedding ceremony and upon returning home; the child’s feces is awfully smelly or the child suffers from diarrhea. Then people say that this child is suffered from the opposition of good affairs (喜沖喜). Apparently that too many good things can become not good. Old folks believe that when a bride wears her wedding gown with head dress, the “goddess of bride” has possessed the bride. This goddess of bride has great power in spiritual world, so her aura may harm a small child. Some people also call this situation as “sha of a bride” (新娘煞). A good astrologer can normally calculate who will be in trouble by looking at the person’s Chinese zodiac sign. For example: a rat will be in opposition with a horse. A funeral ceremony is called as a “white affair” (白事) and it is a bad affair. A pregnant lady and a small child are advised to stay away from attending funeral ceremony in the fear of the opposition of good and bad. This situation is also commonly known as (喜沖喪) or the conflict of the good and bad. As with the above case, the child may either suffers from diarrhea, headache, vomiting, stomach ache, fever, or strange behavior: quiet in the day, active at night. Some modern explanations concerning on “white” and “red” affairs are that during these affairs, all of the decease family members and ancestors also attended ceremonies such as wedding and funeral service. So not only the pregnant and small child must shy away from these occasions; persons who are experiencing bad luck are at best avoiding them as far as possible. Taoist’s remedy for the opposition of red to red, or red to white is pretty simple; just draw the below talisman , burn it on a bowl of water and drink the water. a. Recite while holding your breath while imagining yourself being surrounded by light. a. Place two fingers on the left and right eyebrow. c. Inhale breath once and move your right index finger around your head to reach the original position. d. The left index finger does not have to move. e. This ritual will protect you for 1 hour. f. Perform this ritual when you see someone is possessed by a spirit. There Is Something Behind You!! Would The Emperor Do These Things?